It’s a deal that few saw coming – or in any case not as fast as it did. The planned merger of Nigeria’s Access and Diamond banks, announced late last year, could be transformative for the country’s banking sector. The merger, if approved by shareholders and regulators, would create Africa’s largest bank by customers – 29 million – and Nigeria’s largest bank by assets, ahead of long-term leader Zenith Bank. 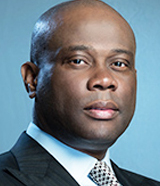 Speaking exclusively to Euromoney in late January, Access Bank’s chief executive, Herbert Wigwe, and his closest adviser, Bolaji Balogun at investment bank Chapel Hill Denham, highlight the transaction’s importance. Asked what is appealing about Diamond Bank, Wigwe cites its large retail business of 19 million customers, the quality of its digital offering and its successes in financial inclusion. But he also looks ahead to the potential growth Diamond could bring, pointing to the bank’s strong relationship with mobile operator MTN Nigeria. “We said to ourselves, this can create another 20 to 30 million customers over the next two to three years,” he says. Access already has a strong relationship with Airtel, the other big mobile operator in Nigeria, Wigwe says. 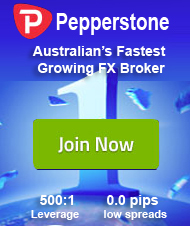 By cornering the market in this way, he hopes to make the most of the retail banking opportunities of mobile technology. Wigwe is nothing if not ambitious. “For me, the most important thing I want to achieve is to create an intelligent, efficient digital retail bank of the size of a global institution,” he says. Balogun, who advised Access Bank on this merger, alongside Citi, says that Diamond’s customer base was the biggest attraction for Access. “The big opportunity in Africa is retail and small and medium-sized enterprises,” he says. Their combined coverage will allow Access to tap into those two markets. Some argue that Diamond’s big exposure to SMEs in the oil and energy sectors means it is in trouble, and that the 260% premium to its share price that Access was willing to offer to clinch the deal was excessive. But Wigwe and Balogun defend the offer price. Wigwe says it reflects the fact that he did not want to take the merger for granted. In fact, Diamond’s woes were precisely what made it a possible merger target, Balogun says. While acknowledging the legacy issues, Wigwe downplays any negative effect they might have on Access. “Having gone in properly now and looked at it and seen the names, it was an issue before, but every day we’re breaking it down and it’s getting better,” he says. Diamond’s loan book is now “largely” clean. Morocco’s Attijariwafa Bank and Union Bank of Nigeria are among the banks that are thought to have also pitched to Diamond Bank in a bidding process that lasted only a few weeks. In the end, Access beat off the competition at breakneck speed. “This deal was expected to be completed in July 2019,” Balogun says. Why, then, did it go so fast? Balogun says that the merger has passed the early stages of regulatory approval. Shareholders at both banks will be asked to consent to the transaction in February, with final regulatory approval expected in mid to late April. He says that the merger might be the largest to take place this year in Nigeria, but that others could be inspired by it to launch their own bids for banking M&A. Access won’t look at any other targets for the time being, however.